New Year's Eve in Vancouver is much more than a countdown to midnight. There are celebrations for everyone from a boat cruise with incredible views of the fireworks to late-night parties to family friendly celebrations. Our list of the top Vancouver celebrations covers them all, just be sure to have warm clothes on hand if you plan to be out in the cold. Want to party with a huge crowd? Head to Telus World of Science as it turns into a nightclub for New Years Eve. Vancouver's iconic Science World has room for over 1,000 partiers, plus two rooms of music on two floors, six DJs, five bars, and live performances. This one sells out, so move quickly! 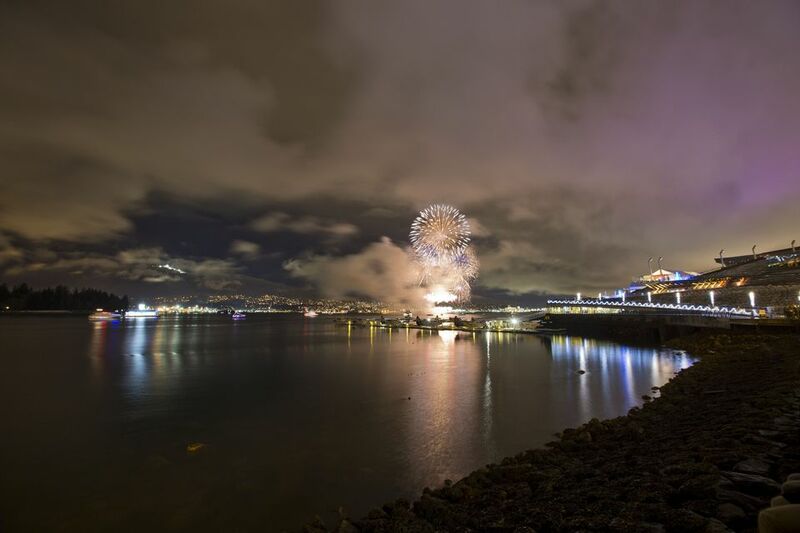 Toast to the New Year aboard a Vancouver cruise ship. You can ring in the New Year with a gourmet buffet, followed by dancing, with a glass of champagne as fireworks burst over head on the traditional dinner cruise. Or if you'd rather nibble on lighter fare, take the Cocktail and Canape cruise where you can dance and drink wine while enjoying the DJ's music. Always a sell-out event, both cruises celebrate the New Year with fine dining, dancing and amazing views of the city at night. Ring in the New Year with breathtaking views at this waterfront gala, including views of the NYE Vancouver's (see below) midnight fireworks display at Canada Place. There are also two rooms of dancing, a photo booth, 3 huge balloon drops and a champagne toast. Ladies should dress "chic and sassy" and men should wear slacks and a jacket or a suit. Prices start at $100. Don't want to stay in one spot all night? This NYE club crawl is aimed at students and includes the famous Roxy Nightclub, one of Vancouver's hottest nightclubs. Tickets include front-of-the-line admission to three more clubs, plus party favors, and transportation between events (so no waiting in the cold! )​ Tickets start at $30.00. Rio Theatre's Naughty Little New Year’s Eve is a night of comedy, music, magic, burlesque, hosted by Vancouver comedians Patrick Maliha and Eric Fell. Tickets start at $32 and include party favors, a glass champagne and a free ticket to a show at the Rio Theater on January 9. Vancouver's largest gay New Year's Eve party is at the famous Celebrities Nightclub, where the party includes club hits and house music by DJs Johnny Jover, Yurie, Kempeh, and dancing until 4 am. Want to ring in the New Year in Vancouver at one of the hottest spots in swanky Yaletown? Put on your very best formal wear and enjoy dancing in two rooms with music from some of Vancouver's best DJs. Ring in the New Year like the Great Gatsby at this "roaring 20s"-style celebration aboard the Magic Spirit Yacht. Enjoy a collection of appetizers, themed party favors, two DJs and three hours of fun. Come dressed to impress. Tickets start at $99. FInally, fireworks for New Year's Eve in Vancouver! The second annual NYE Vancouver is a free, all-ages celebration in Downtown Vancouver, near Canada Place, along Canada Place Way between Burrard St. and Howe St. Along with live music, the celebration will include an early countdown and fireworks for kids at 9 pm as well as a midnight countdown and fireworks.